After our successful African Bird Club Conservation Tour and six more tours, we again offer our Rwanda Albertine Rift Endemics extension tour in July 2018. It precedes our Uganda Specials and our Budongo and Murchison extension tours. Just 6 participants can join. Our tour focuses entirely on Africa’s largest contiguous block of montane forest, best accessed at Nyungwe National Park. We’ll have almost four full days to explore these little-birded forests. Even richer than Uganda's Bwindi in local specialties, we’ll be searching for Red-collared Mountain Babbler, Ruwenzori Turaco, Stuhlman’s Double-collared Sunbird, the exquisite Purple-breasted Sunbird, Neumann’s Short-tailed Warbler and Kungwe Apalis, and can catch up with just about any of specialities from Bwindi. If we’re really lucky we may even encounter Shelley’s Crimsonwing or Albertine Owlet, two species only a handful of birders have seen before. This tour can be done before our Uganda Specials and Murchison and Budongo tours. 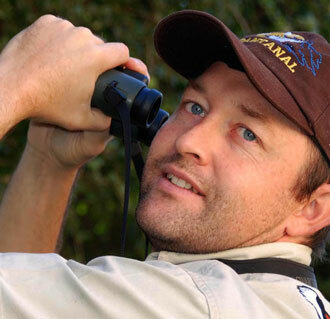 See our blog with photos, the detailed itinerary and our publications in the ABC Bulletin and Africa Birds & Birding. 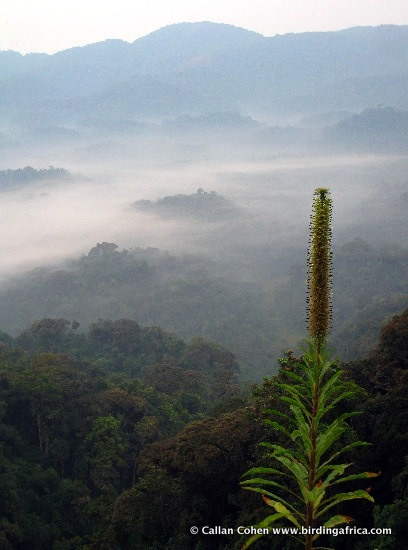 Giant Lobelia towering over Rwanda's Nyungwe Forest © Callan Cohen. 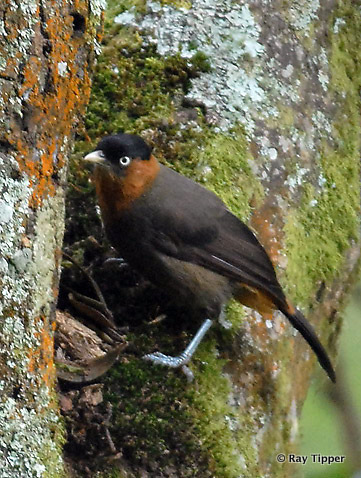 Red-collared Mountain Babbler seen in Rwanda's Nyungwe Forest © Ray Tipper. 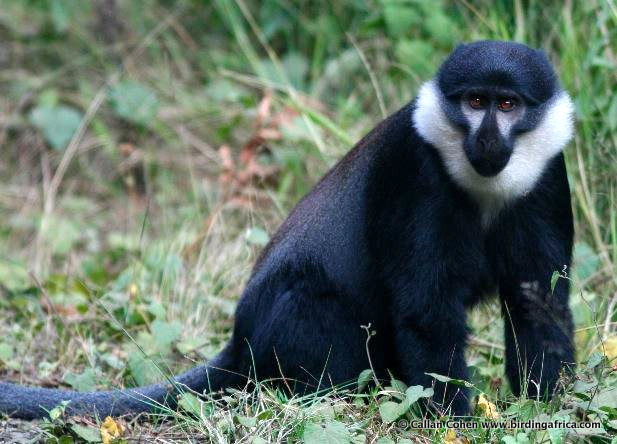 L'Hoest Monkey can be seen on our tours in Rwanda and Uganda © Callan Cohen. Chimpanzee and Mountain Gorilla, Guereza Colobus and other primates can also be seen on our tours in Uganda and Rwanda, while Golden Monkey can be tracked on our tours in Rwanda.